#139 British Sports Direct down for the count in Austria? There’s trouble in Austria’s market for sports equipment. Traditionally, the market has been dominated by a handful of domestic companies such as Gigasport, Hervis, and – one of the most established among them – the Intersport group. Within Intersport, which is less of a centrally owned and controlled company and more of a loosely controlled network of independent entities, Intersport Eybl once was the largest unit with more than 2,200 employees, more than EUR 330 million in revenue, about 25 percent market share, and 55 sizeable stores throughout Austria (and Germany). Since 2011, however, revenues started to decline, rapid expansion took its toll, and in 2013, Intersport Eybl was close to insolvency. The majority owners of Intersport Eybl decided to sell 51 percent of their shares to British sports retailer Sports Direct. For only EUR 10.5 million and another EUR 30 million in fresh capital, Sports Direct had bought itself access to Austria’s EUR 2.7 billion market for sports equipment. Or so it thought. The last five years since its entry into Austria were not exactly a slam dunk for Sports Direct. By year 3 (in 2015/16), Sport Direct’s market share had declined to about 13 percent, revenues had slipped by the double digits and the company had amassed losses of EUR 126 million. So, what exactly had happened? To begin with, Sports Direct’s no frills, low-cost business model was a bad fit for the Austrian market. Sport is a serious matter in Austria, and one might even say that it is an important part of individuals’ self-fulfillment. Intersport Eybl’s loyal core customers particularly were used to outstanding advice from well-informed sales associates. They were used to high-end store design and wanted top of the line products that are both high-performing and fashionable. Sports Direct, however, gave their customer a bare bones environment with lower-priced products that were often in-store brands instead of global brands. Rumor even has it that Sports Direct has such a mistrust of its employees that it requires them to wear pants without pockets for the fear of theft, which is deeply insulting to Austrians who usually take pride in their work. It comes as no surprise that Sports Direct lost its best employees and that employee quality, morale and engagement of the remaining staff were not up to Austrian customers’ expectations. Austrians who shop for lower-priced sports equipment buy them online or in discount retail, but not in sports retail. In addition, competition got vicious. For instance, the remaining Intersport entity offered a EUR 50 voucher to all former Intersport Eybl (and now Sports Direct) customers who were willing to switch their loyalty cards. In addition, Intersport and other retailers aggressively opened new stores at an unprecedented pace, making it even tougher for Sports Direct to compete. By 2016, Austrian customers had largely turned their backs on Sports Direct. Only less than half of Austrians recognized the brand in tests according to market research firm Gallup, as opposed to almost 100% for Intersport. To make the mess complete, recently Norwegian sports retailer XXL also entered Austria, and French competitor Decathlon has announced its entry for later in 2018. Looks like another curve ball is coming Sports Direct’s way. This is a very accurate description of what was going on after Sports Direct’s acquisition of Intersport Eybl. I was a rather loyal Intersport Eybl customer myself for many years – and the reasoning behind my loyalty was simple: I am a sports enthusiast, just like many Austrians. I love sports, and I love high-quality sports equipment. If I shop for my equipment, I highly value advice from people who are as crazy as I am – Intersport Eybl’s employees all were experts in their respective fields, and I could discuss with them the benefits of the different top brands. Personal recommendations are the strongest buying reason, and Eybl’s sales staff was able to convey their expert opinion in a very trustworthy and helpful way. Once Sports Direct came in, I have been in one of their stores just one time – and I have no reason to come back. They completely misunderstood the business model of Intersport Eybl – selling high quality sport solutions with professional advice to sports enthusiasts. Sports Direct is a low cost sports store that wanted to attract people with special offers on no-name brand products. All high quality gear and staff expertise is gone, and I’m gone too. I doubt that there is much future for Sports Direct in Austria, unless they learn their lesson and take a hard look at what Austrians wan when they shop for sports equipment. This case is very interesting for me as back in 2014 I did a case study, which dealt with the market launch of Sports Direct in Austria. In the course of that we did a strategic SWOT analysis. Four years later it is obvious that Sports Direct missed to work on its weaknesses and risks and even didn´t take advantage of its opportunities. In 2014 we identified the risk that the positioning could fail and that customer acceptance might fail. Further more we addressed weaknesses in regard to the degree of brand awareness, know how as well as lack of experience in the premium segment. Still, we discovered opportunities in regard to service, winter sport and the premium segment as well as the discount customer. Sports Direct introduced itself as a sport discounter, but took over the shops of Intersport Eybl, which was well established in the premium segment. Thus the shops captivated with appealing design in prime locations. The locations are far away of the places were Sports Direct´s target group is buying. It could have lead to a better development if Sport Direct would have locate its shops close to other discounters like Primark, Lidl and Kik. Sports Direct also focused on own brands which haven´t been well known in Austria – there are still not common. In a nutshell, Sports Direct tried to launch its concept into the Austrian market without any adaptions. From todays point of view I do not see that the development will take a positive turn for Sport Direct. This is a very accurate, comprehensive description about what went wrong when entering the Austrian market. From my perspective, that is driven by my personal experience as well, Sports Direct ignored local peculiarities of the Austrian market structure and customer culture. First, quickly after entering the market Sports Direct made negative headlines with the descried “special” trousers for their employees. That was just “the tip of the iceberg” and accompanied by rumors about an employer unfriendly culture, harsh working conditions and low wages. All in all an image that is a serious thread for customer relationships in Austria. Next the change in shop design and layout damaged customer experience. Typical Eybl customers aim for high quality and customer orientation whereas the Sports Direct design is more typical for a discounter. In addition, the Austrian customers were baffled by the new shop layout, especially by the counter´s position in the center of the store, which is very untypical for Austria. Many people I know complained about this concept. Finally, the shop assortment did not fit to customer expectations. –	I personally experienced most items as of low quality – something that I would get to a better prize but with better quality at Hofer (the Austrian Aldi). The view items of higher quality were relatively expensive and of low variety. –	Eybl was known for optimizing the shop assortment to local requirements – i.e. offering horse riding equipment in areas where this sport is popular and the shop is surrounded by several horse barns. Sports Direct did not do that, former loyal customers got frustrated. This is totally true and I’m sure everybody who ever had the chance to compare former Intersports Eybl and Sports Direct would agree. As the article states, most Austrians shop for high quality sports equipment. The enthusiasts as Wolfgang names them also search for individuality. Sportswear is either bought for it’s quality or it’s popularity due to thw brand and what commercials tell us they stand for. Sports direct came with a totally different concept! A few years ago I entered one of their shops and in the first moment I was ocerwhelmed of their prices. When I took a closer look at the articles I recognized their bad quality. In my opinion it is like Primak, that also came to Austria now. But at Primak people more often just look for cheap good looking cloths. Many of them don’t care if they wear plasric fabrics. Sport enthusiasts are a completely different market that Sports Direct does not address at all. They shop for brand, quality, recommendation and technology. Most of them do no care of a higher prize if the mentioned things personally fit to their style. I also found it a little bit strange that in the store I visited, the pay desk was in the back of the shop and not at the exit. All in all, Austrians are very picky of their sports equipment and a better market research could have prevente Sports Direct from this failure. In no case I want to give the impression, that in retrospect I know everything better. That is unfair and not my intention. But the difficulties of the British Sports Direct in Austria were really predictable, at the latest when the Ex-Eybl customers left the Sports Direct shops a bit distraught and the first letters of the editor were printed in the newspaper about the shocked customers. From then on Sports Direct would have had to rethink the new and for Ex-Eybl customers unusual concept. Obviously, they did not. The Ebyl customers were ready to pay more for quality products, I myself also belonged to the regular customers of Eybl. Maybe Austria was over-Eybled at this time with too many flagship stores – and very high fixed costs – but Eybl’s strategy, perceived by the customers, was okay, even if the strategy was a big issue within the family and the management board. The combination of enough customers, who are willing to pay for good quality, shops in prime locations and motivated and engaged employees that sounds like a self-selling item. Probably Sports Direct would not have had to change much, in my opinion a process of “shrinking down to health” would have been enough to put the organization back on track for growth. But Sports Direct management was convinced that their own company-concept would also succeed in Austria. The rest is history. That is interesting to read, because honestly a friend of mine and I we like SportsDirect actually and we are good customers. The reason is that we both do not care about brands and fashion for sportswear, but that is for sure not the usual customer in Austria. The usual customer from my experience spends more money on the equipment like skis, clothes and so on then for actual doing sport. Nevertheless I agree that there are some obvious mistakes that are correctly described, like there are no sellers for instance. The people who are wandering around in the stored do not care about the customers and if you ask for specific information they have no clue at all. Further it seems to me that they are not educated how to sell at all. I did not know the story that there were no pockets for the employees, but I totally agree that this behaviour harms the Austrian work mentality completely. Sports Direct is the shop in Austria when I want to buy something for any sport that I recently just started and thus do not want to spend much money on it. Meaning that I do not know yet if I am going to continue with it or not. Thus, I do not want to spend much money on it. If I enjoy the sport I might go to Intersport to get some advice from well-educated sales people and buy high-quality goods. I do not know if I am the only one doing so but for me that is the way how I do it. Therefore, the summary of what happened to Sports Direct could not be more accurate. They entered the Austrian market with their low-cost model but realized soon that this is not the way Austrians buy their sports products. The market entry strategy Sports Direct chose reminds me very much of the one Walmart is using to enter foreign markets which is “one strategy fits all”. They did not adapt their strategy to the local market. Additionally, local habits of their main target group were completely left out as well. I am sure Sports Direct did some research did some market research, but they missed out on the essential ones. Meaning that they did not look at the details about customers and how they prefer to shop for sports equipment. Preferable high-quality goods and outstanding advisor which is exactly the opposite what they are offering. This is a very interesting description of what happened to Sports Direct in Austria. Looking at Sports Direct in the UK, it seems as if this setup works fine. Still, in Austria the struggled to gain market share. The main question for me in this case is: Did the products match the Austrian market needs? Talking about “products” in this case means the products itself plus the proposition of Sports Direct (brand, pricing, etc.). The question is, if Sports Direct analyzed the Austrian market and the customer needs upfront. Taking over former “Eybl” shops might be an indicator that they did not. Eybl was well know for high quality due to highly skilled sales staff and the position at the upper area when it comes to pricing. Changing the whole perception and portfolio then at the selected locations should have been identified as a risk upfront. Would be interesting to have more details about their strategy when it comes to product readiness and market entry mode selection before Sports Direct decided to enter the Austrian market …. Sports Direct’s entry to Austria is a really interesting example for not taking into consideration the expectations and attitudes of the customers in a foreign market. Had they informed themselves better about the Austrian attitude towards sports, they would have understood, that the majority of Austrians are ready to pay quite some money for high quality sports gear and they expect excellent advice from the staff to get a feeling of security when using the sports equipment. This idea can also be supported by the Uncertainty Avoidance Index of Hofstede’s Cultural Dimensions. Austria ranks in the 37th place, compared to Great Britain, which ranks at the 69th place. This means, Austrian people in comparison to British people worry more about the future and try to avoid risks as much as possible. Since sports in general can be risky, at least the used equipment should provide maximum safety – such safety can be achieved when buying the equipment in a “trustworthy” and high quality sports store. Giving this dimension of uncertainty avoidance a second thought could have helped Sports Direct to come up with some solutions how to decrease the perceived risk and deliver a more trustworthy image to the Austrian customers so that they would have appreciated the lower prices they could get at Sports Direct – higher trust and solid quality paired with low prices could then have become a competitive strength for Sports Direct in Austria. I can fully understand why the concept of Sports Direct did not work in Austria at all. I am myself a very sports interested person and for this reason I know what people, like me, pay attention to – high quality and well-known brands. Only about every fifth sports item I possess is from a no name brand, and I only bought them because they somehow caught my eye due to an exceptional design. However I do not know anyone, who would go to a sports-discount store to shop only no name products, because first of all Austrians have a high average income and can therefore afford themselves brand items and secondly, the purpose of the sports clothes (sweat less, flexibility, durability) would somehow not be fulfilled because of the bad quality. I am just sad and it nearly hurts to read about the ruin of Intersport Eybl and the appearance of Sports Direct – a horrible development of being advised by well-informed sales associates with a great variety of choice of top products to a completely overloaded shop-concept with no-name, low-quality products without sales advice. I surely can understand that there was a need of change of the business model in order to secure a future, but knowing about the uncertainty avoidance level according to Hofstede’s Cultural Dimension of Austria – where especially sports place a major role and is part of the national pride – could have prevented from the amassed losses of Sports Direct. Security is a really important topic for Austrians and especially in the field of sports and the sports equipment should provide trust and safety. Secondly, low power distance in Austria implies a great-working atmosphere, which for sure was not offered at Sports Direct – see pants without pockets in order to prevent any theft – but which “valuable” products exactly should or could have been stolen there? Prior to the acquisition of Intersport Eybl, Sports Direct had forgotten to analyze the societal aspect of the PESTEL framework for the market and the customers of Intersport Eybl. In England, the concept of selling sports goods over the price works well. In Austria, Eybl’s customers bought quality and advice, and Sports Direct did not take that into account. The strategic orientation of Sports Direct did not fit the Austrian market, especially to Eybl customers. The advantages and USP’s of Sports Direct (favorable price, own brand …) became a disadvantage in the Austrian market. The private label was not associated with high quality, thus resulting in a non-purchase decision for the customers. In this case, Sports Direct should have increased the quality and make it known by e.g. expert tests in the market. Thus, they could have positively influenced product readiness and their image on the Austrian market. 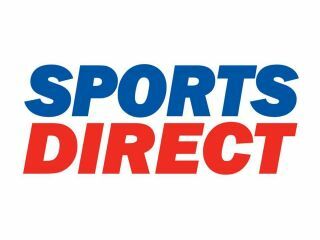 I believe that Sports Direct has chosen an unsystematic approach to market entry through the insolvency and good market share of Intersport Eybl. They see low hanging fruits! That’s why Sports Direct did not analyze a few key points to make a systematic and successful market entry. For Sports Direct, in my view, an indirect market entry (export mode) via a regional Austrian partner would have been successful. As a result, they could have drawn attention to their own brand and conducted market analyzes before entering the market as an enterprise (investment mode). I can remember, when I entered a Sports Direct store for the first time some years ago. My expectation was that I will find a store similarly to the one I was used to buy my sports equipment (Intersport). However, I was quickly disabused of any prior expectation I may have had, because everything was different. The shop was messy with unclear arrangements, and the staff was practically not present. Furthermore, I did not know the brands which Sports Direct was selling. Now, several years later I still did not buy anything from Sports Direct. My first experience with them was also my last one. I am one of the many unforgiving customers who didn’t like the selling concept of Sports Direct and I am one of them for whom Sports Direct ought to have adapted their products. Customers and markets are different than in Great Britain and Sports Direct didn’t notice it before they entered the Austrian market. Although corporate readiness for the market entry to Austria was given, they had serious problems and in retrospect, it was a serious mistake that Sports Direct didn’t adapt to the Austrian market which almost have turned out badly for them. Murphy´s law happened in this particular case with Sports Direct´s in more or less all activities they started. If you enter a new market, it does not matter if it is an acquisition or a completely new market setup, the first rule states – check the market and the purchase behavior of the potential customers. Austrian´s are Sport enthusiastic and they do not accept just to shop, they want to be entertained and professionally and competent advice. Further this sport clientele expects a professional interior in the shop in order to get excited during the shopping. All these facts have been ignored at the beginning by the management, they only rely on low prices. Austrians are very loyal with their shops but if they will get disappointed several times they move to the competitors and will probably not come back soon. As already mentioned, the service needs to be professional and competent and this means that Sports Direct´s should have invested money in the training and education of their employees, motivating them for pro-active selling, instead mistrust them. Competent sales stuff is one of the most essential fact in the sport business. Customers need support in finding the right equipment.